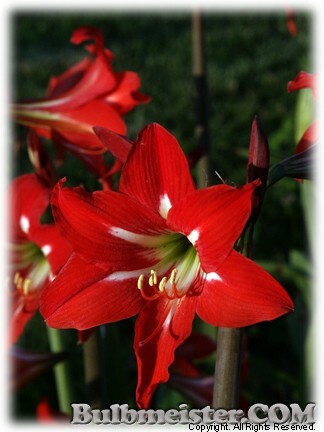 From the family, Amaryllidaceae, having common name(s) associated with the genus; Butterfly Amaryllis. This amaryllis is actually hardy in the ground here in zone 6. You will most likely receive a red, but it could be a cream. Ht. 16-24 inches. Hardy in zones 6, 7, 8, 9, 10.